‍1. Get your mix to a stage you’re happy with. The best masters come from the best mixes. 2. If mixing ‘In the box’ (digitally), try to ensure none of your channels are clipping. This includes any effects or inserts being used. Pay particular attention to your master fader, please ensure that it’s not clipping. If recording and mixing in 24bit (recommended), having peak levels of about -6dbFS are perfectly fine. If mixing in 16 bit, peaking around -3dbFS is recommended. That is not to say they are goals for your meters! But keeping ‘under’ those levels is highly recommended. 3. Try not to use excessive compression on the master stereo bus. Ok for tone/’glue’ etc, but not always for loudness. If in doubt, send two versions, one with, one without.If you like the sound of it, leave it on! 4. Using peak limiters on the master stereo bus, i.e. Waves L1, L2, Voxengo Elephant, Ozone, Sonnox, Massey etc. is generally best avoided if you’re planning on a getting your mixes mastered. But, if you’re using the limiter as a creative tool to achieve a certain sound, then leave it on. As with master bus compression, if in doubt you can send two versions, one with, one without. 5. When mixing down your final stereo mix, choose whatever sample rate you’ve been mixing in. There is no need to convert to a higher or lower sample rate before sending for mastering. Rates up to 96kHz are accepted. 6. The preferred format is Raw uncompressed data audio files, 24bit - WAV/AIFF. 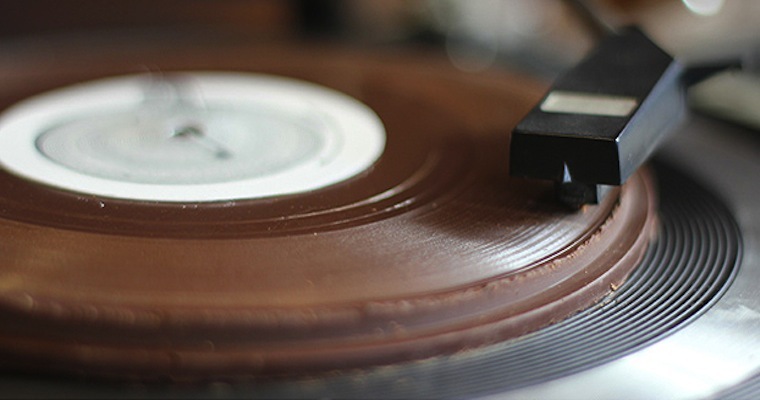 The venerable 7” record has been with us since the late 40’s, and while its heyday has long since passed, there’s still a steady output from artists and labels today and will remain so for the foreseeable future. It’s a nice format and as a tangible object it’s pretty cool. But those wishing to delve in to the world of vinyl for the first time should be aware of some general rules of thumb. 1. ‘ANYTHING’ can be cut! ‍While these guidelines will hopefully result in making your finished 7” sound better, pretty much any recording can be cut, albeit at the expense of level/loudness and sonic quality. Vinyl as a format has an inherent noise, due to the mechanical nature of getting sound to emanate through your speakers/headphones from those tiny grooves in the plastic. Known as- hum, hiss & crackle.The cutting engineer is trying to get as loud a cut as possible onto the 7”, so that the ‘music’ is much louder than the ‘noise’, and also attempting not to sacrifice the quality of the sound in the process. (Signal to noise).So there is balancing act involved and the engineer will use his experience and judgement to make the best call. But the goal is basically, LOUD and CLEAR. 2. Vinyl (Analog) loudness is not the same as Digital loudness. In a digital system, computers/media players/cd players etc etc, 0dbFs is the loudest you can go. And while most people have tried their best to go past this point using compression and limiting, you can’t go louder than ZERO. (You can make something that sounds like putting 30 people into a Mini though.) Taking this approach of heavy compression and limiting to achieve loudness in a track bound for vinyl will NOT guarantee a loud cut. Vinyl loudness is dependent on other factors, most notably track length, but also high and low frequency content. Basically once you pass the 3min mark, the loudness at which you can cut the record, (to get a high signal to noise ratio) drops dramatically as the track time increases. Think of it like throwing a stone off a cliff, or a diagram of a low pass filter. 3. Avoid a super sharp high end. Excessive boosting of anything above 10kHz, especially the 12kHz-15kHz region, will cause distortion at the cutting stage and if very harsh, could actually damage the cutting head! This being the case, cutting engineers have high frequency limiters/de-essers in their cutting chain to combat this and to protect their cutting heads. Apart from causing distortion, if these high frequency limiters/de-essers are working very hard to combat your excessive high end, it will mean your resulting 7” is actually much duller sounding!On that point, using de-essers in the mix on vocals and hi-hats can be very helpful for keeping anything overly sibilant in check. Like excessive high end, sibilance can translate into unwanted distortion at the cutting stage, and it’s much better treated in the mix on individual elements rather than having the cutting engineer de-essing the whole mix. If you want more clarity in the mix, try making the low end a little more leaner and boosting the 2k-6k region. Simply put, for a no fuss cut, keep all the bass elements dead centre and avoid processing them with any stereo effects. This will ensure there’s no possible phase problems that might cause skipping on playback and result in having to make a lower level cut in order to avoid this. Cutting engineers use Elliptical EQ’s to tackle low end phase issues, these ‘mono’ everything below a specified frequency. This will change the sound of your mix somewhat, so if you have stereo, problematic bass, be prepared for the final 7” to sound different. (For the most part it will sound slightly 'narrower’, as low frequencies heavily influence our sense of width and size in a recording). Excessive sub bass can effect loudness and can cause playback issues. Many cutting engineers will apply a high pass filter when cutting to avoid these issues, so if you’re mix falls apart when you apply a 30-40Hz high pass filter on it, then go back to the drawing board! For vinyl prepping, using limiters to tame transients can be useful to keep an even volume, but the general practice of slamming mixes to death for loudness purposes will usually translate into distortion at the cutting stage. So go easy on the crushing. Those familiar with vinyl LP’s will have noticed that often the tracks on the inner groove are not as good sounding as those on the outer grooves. This is a common phenomenon called ‘inner groove distortion’, due to the angle and speed at which the tonearm on your turntable is working at. The effect is lessened if the track is quiet, sparse and not very dynamic. This you may have noticed in your 'classics’ LP collection, where the last song on an album is perhaps a little more gentle than the others.So from a cutting engineer’s point of view, you’re starting to cut at the worst sounding part of a record! Always always get a test pressing for approval so you know what the record sounds like before pressing a couple of hundred of them!Hopefully some of that is useful, now go make some records!